A rewarding and stable career as an Air conditioning Technician is just a few months away when you enroll in the Refrigeration School’s HVAC program. A common misconception about air conditioning is that it is only used in the summer to keep homes and businesses cool. This is not the case. HVAC units regulate every part of an interior environment including humidity levels. Technicians who understand the intricacies of HVAC and Air Conditioning systems are always in high demand. Business and homeowners alike would like to increase the efficiency of their Air Conditioning systems, and, through taking the Air Conditioning Classes at the RSI, you’ll be prepared to help them do it. One of the most common problems that arises from receiving ones degree from most tech schools is that there is somewhat of a disconnect between how the student was trained, and what they are actually expected to do in real life. The Refrigeration school trains students on Air Conditioning units and other equipment that actually exist in homes and businesses today, so that there will be little to no disconnect between their training and real life experience. Air Conditioning classes cover all aspects of heating and cooling systems including mechanical and electrical. It is always a good idea to diversify your skill set so that you will always be attractive to potential employers regardless of the economy or job market. In addition to the best equipment, RSI instructors are arguably some of the best in the Phoenix region. They have real world experience to impart to their students, not just theoretical knowledge. This is also an important aspect of getting a good education in air conditioning and HVAC technologies. The Refrigeration School offers students several financing options to choose from so that they can invest in an Air Conditioning education. Additionally, graduates receive job placement assistance. 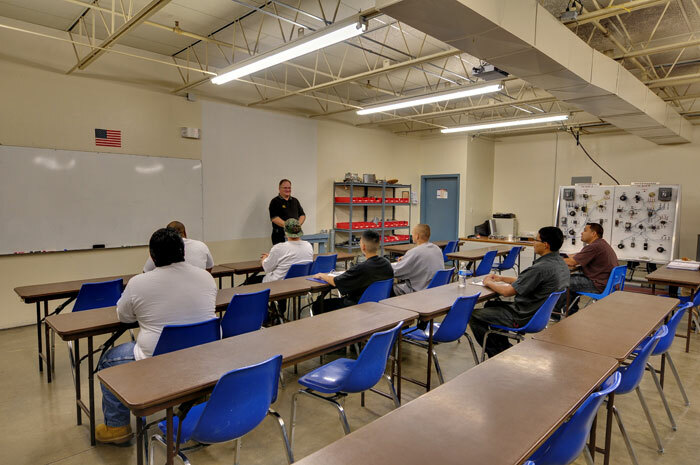 The Refrigeration School has built a name for itself in the HVAC industry in Phoenix, Arizona, and employers in the Phoenix area notice when applicants report that they are graduates from the Refrigeration School.